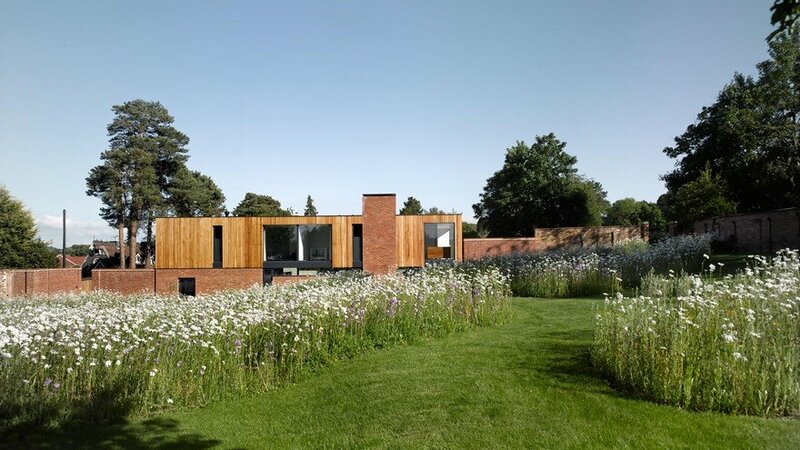 Beautifully concealed within a partially sunken courtyard, and surrounded by undulating wild-flower lawns and orchards, is this magnificent five-bedroom house, designed by architect John Pardey. 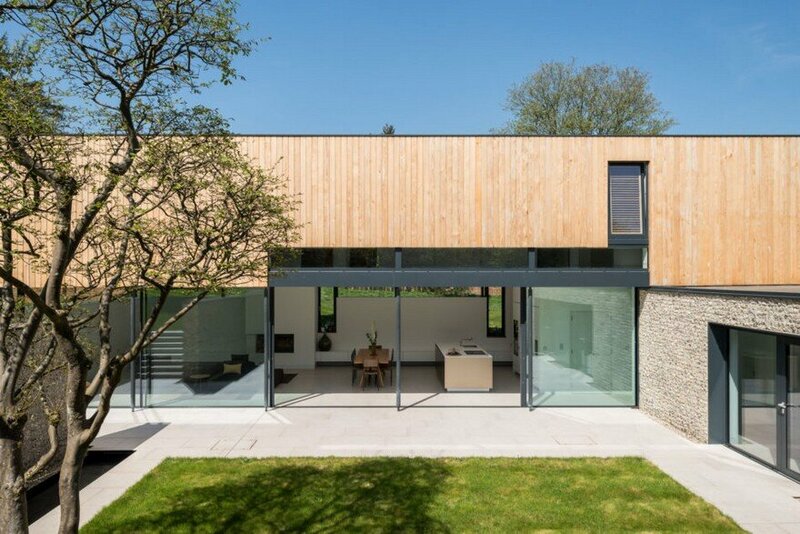 Completed in 2014, Cheeran House was the recipient of RIBA South Regional and RIBA National awards in 2016, and featured on Grand Designs as a candidate for the RIBA House of the Year. 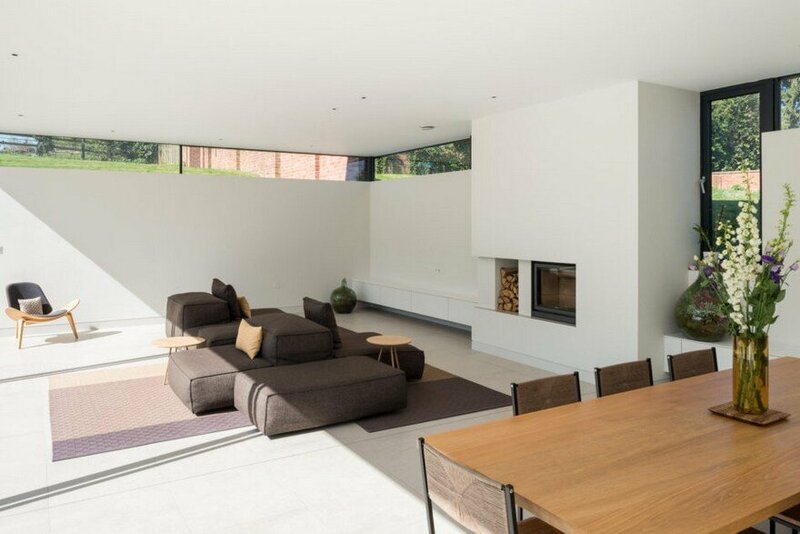 The house can be found in Lower Basildon, a rural Berkshire village, quietly situated close to a tranquil stretch of the River Thames, between Pangbourne and Goring. 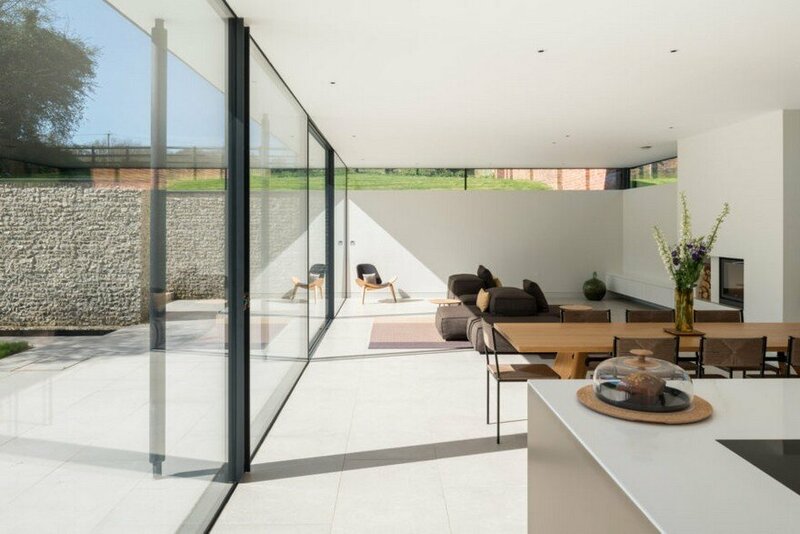 The house occupies a sloping site to the south of an enchanting walled garden that once belonged to the nearby stately home and grounds of Basildon Park. 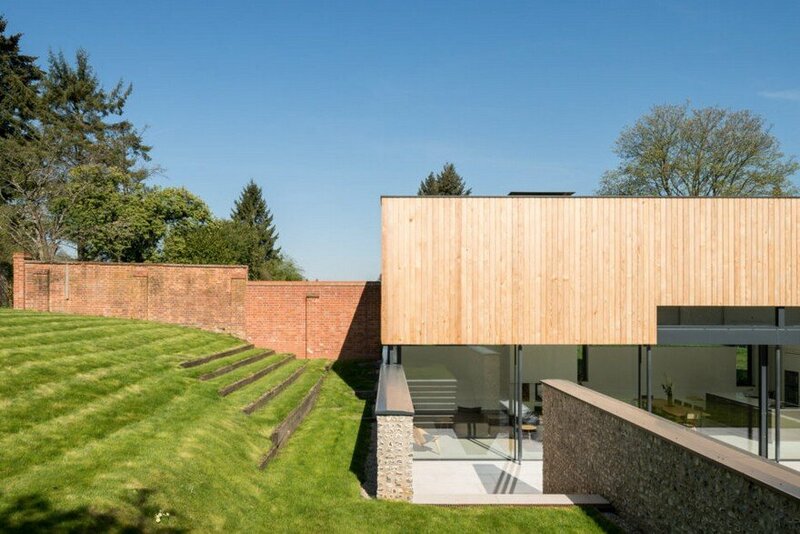 The sloping site for the Cheeran house sits to the south of the walled garden and so the design for the house is based on the desire to both enjoy a south-facing aspect yet engaging with the walled garden to the north, resulting in the main body of the house forming part of the wall. 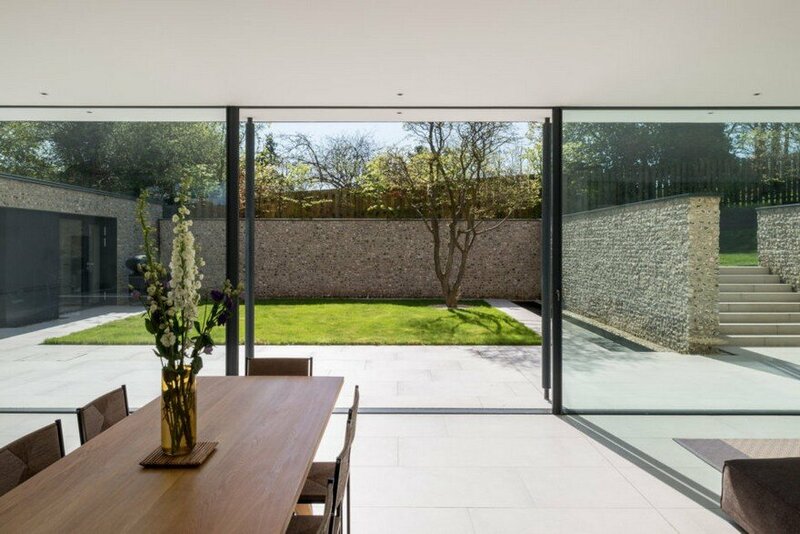 The Cheeran house therefore sits between two worlds – a courtyard and a walled garden. The property is approached via a private driveway and gated gravel parking area with space for several cars. 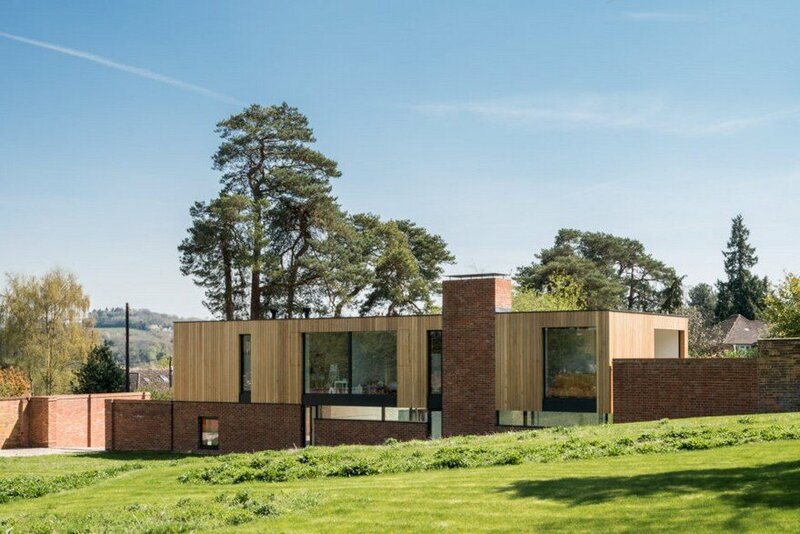 The façade, flint and western red cedar in equal proportions, is angled to present a narrow profile in modest deference to its pastoral standing and the architecture of the surrounding village. 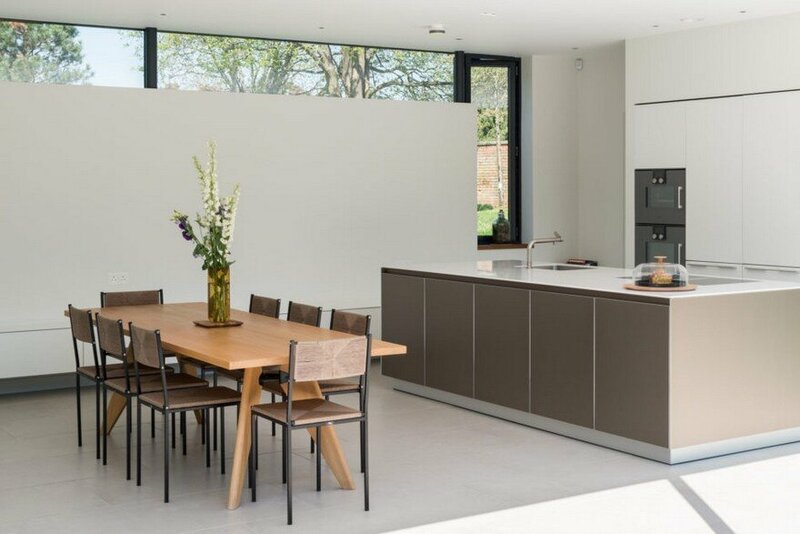 Entering through an Iroko front door, a staggering view is presented along the length of an expansive open-plan living, dining room and kitchen. 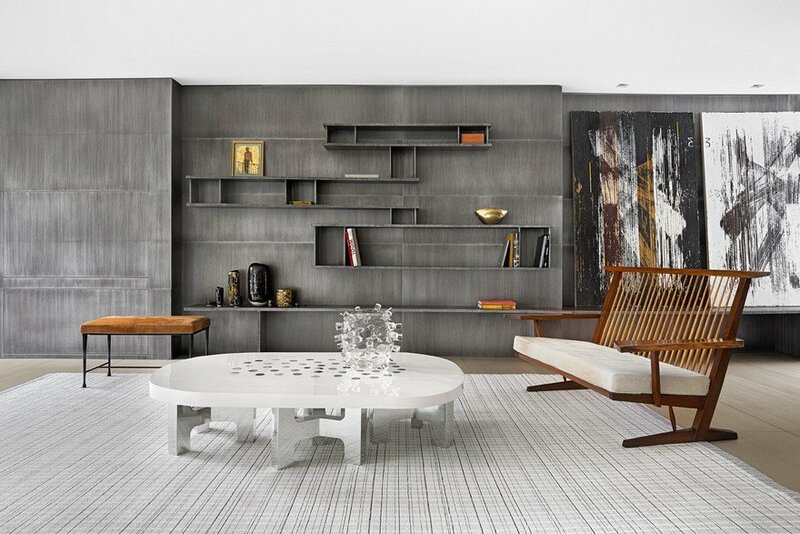 Combining with the single-story front section, the two wings form an Asian-inspired internal courtyard, enclosed within flint-faced walls on two sides, with a lawn area, water feature and the off-set sculptural form of an elegant Persian ironwood tree. 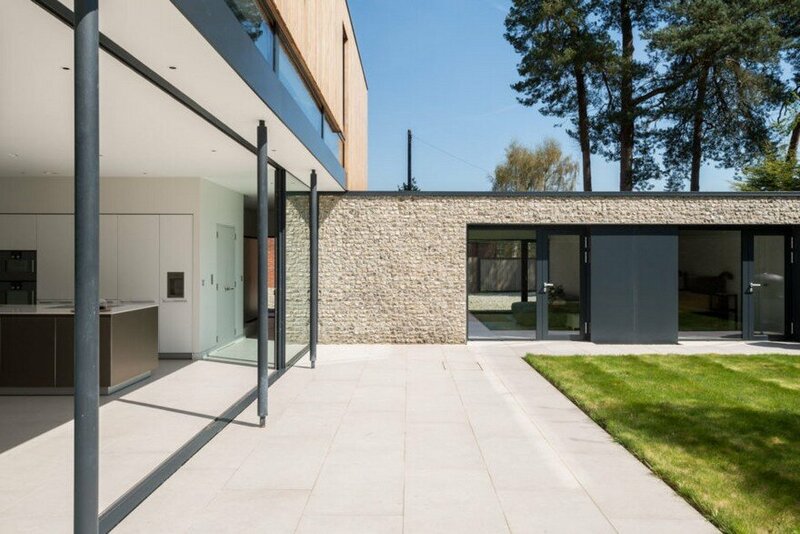 A wall of dramatic south-facing floor-to-ceiling glazing opens to allow the living space to spill-out onto the courtyard, with porcelain tiles continuing seamlessly between slim powder-coated black pillars. 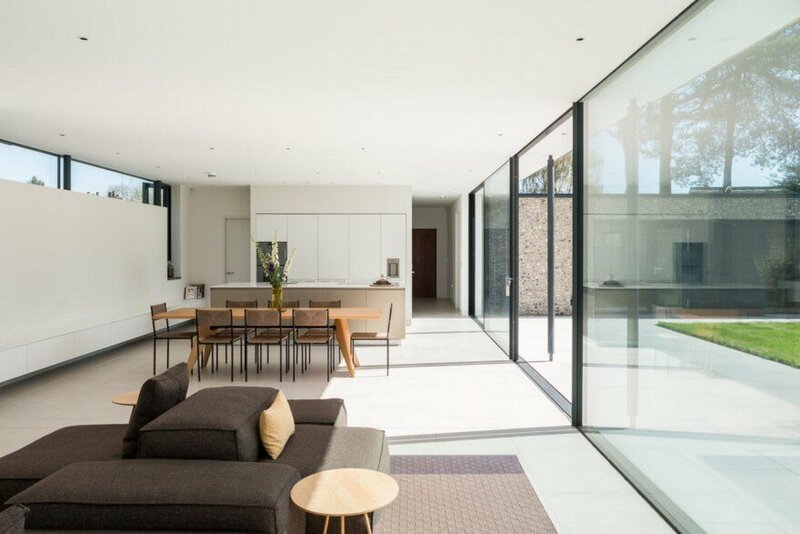 The main living space is set back beneath the upper level allowing for a degree of shade, while clerestorey windows along the north-west and westerly aspects provide an even light throughout the day. 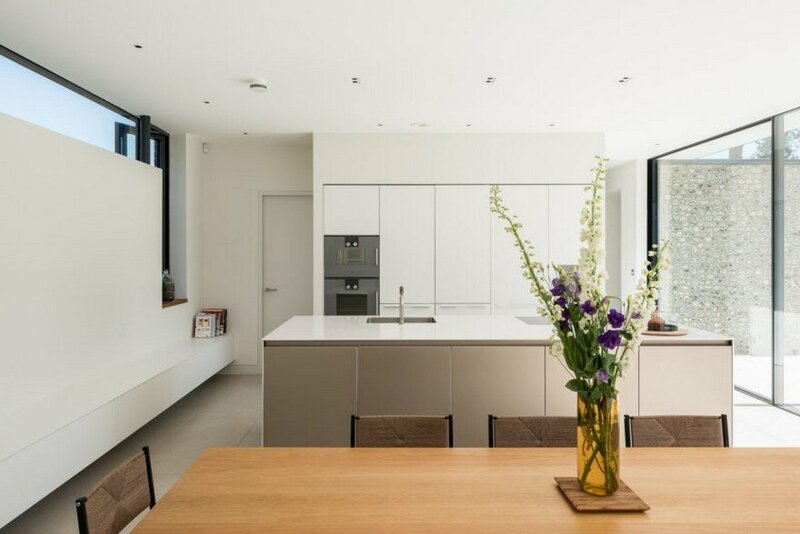 The kitchen is by Bulthaup with Gaggenau and Miele appliances, and has a separate utility area / wet kitchen at its rear. 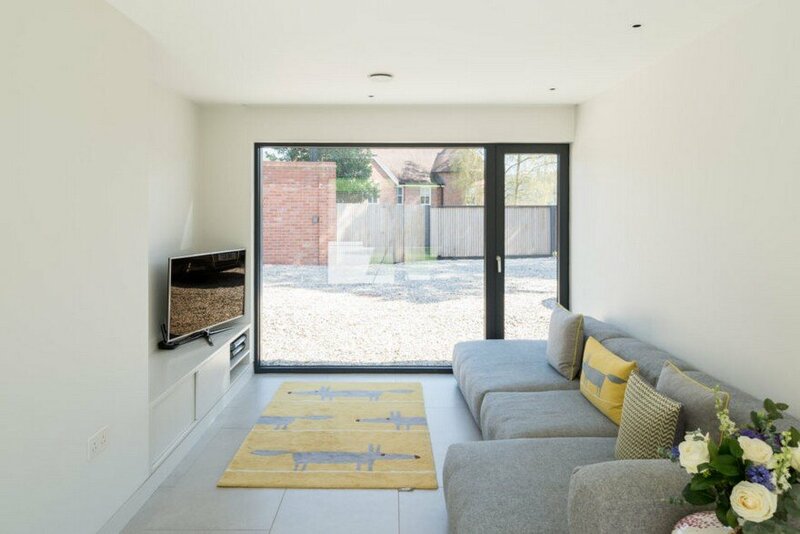 Occupying the front wing is a family room and a guest bedroom with dressing room and en-suite shower, both with glazing onto the courtyard. 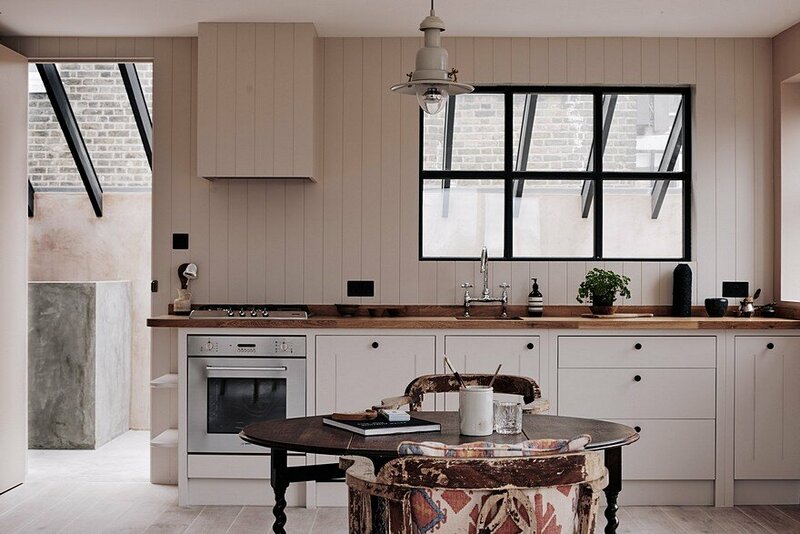 Also on this level is a guest WC, a plant room, and a study with exposed-brick wall that continues externally through floor-to-ceiling glazing. 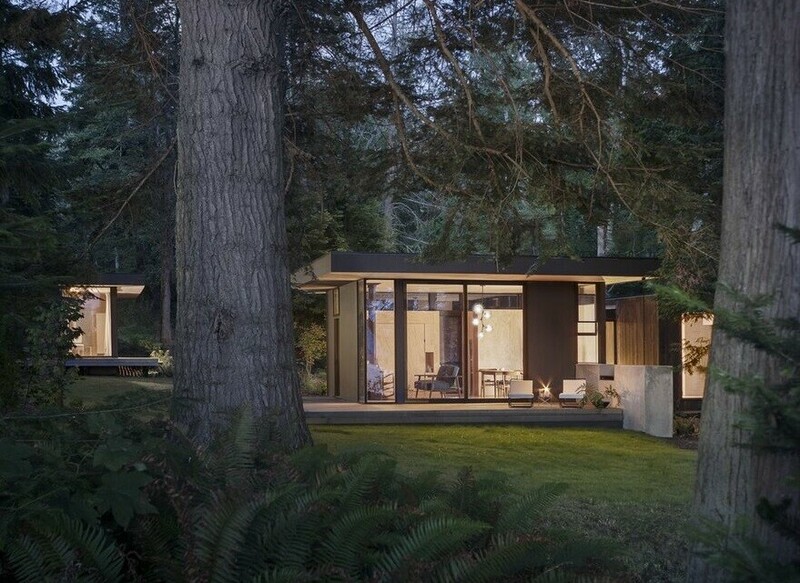 Lighting design throughout is by John Cullen and includes programmable ambient settings. 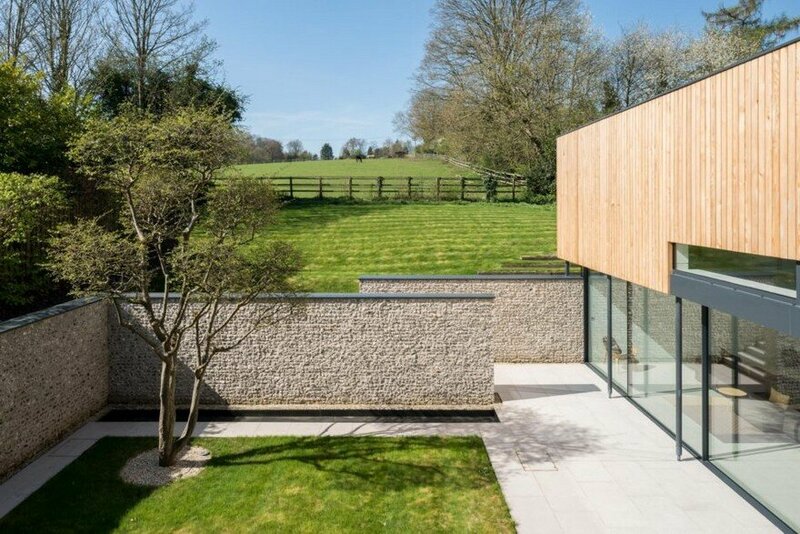 The house is serviced by a ground-source heat pump system (and pre-wired for photovoltaics) and currently exports more energy than it consumes. The property has its own water supply. 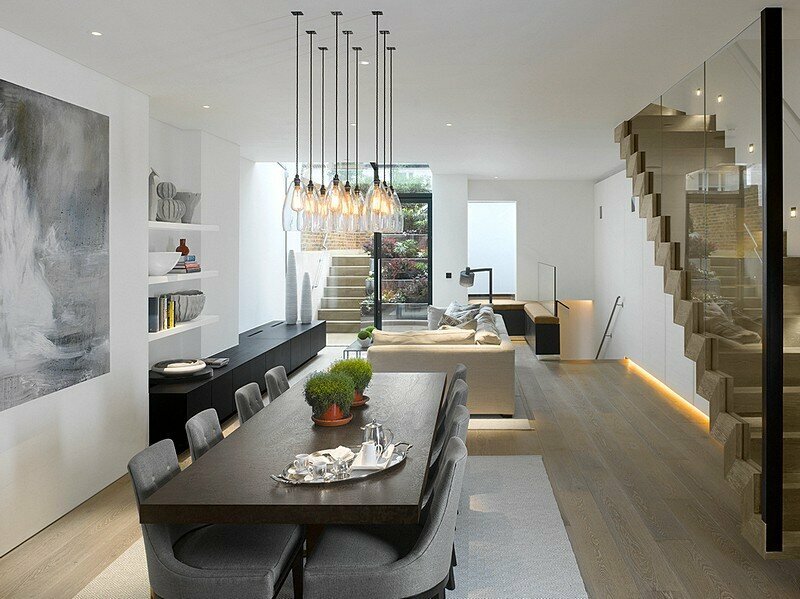 Storage is plentiful and cleverly concealed throughout, in particular within the stained-oak staircase that ascends to the first floor. 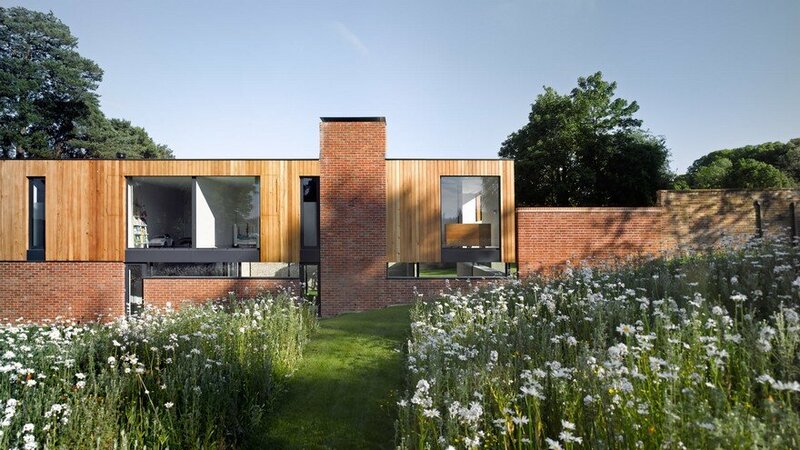 The upper level is a cedar-clad volume containing four bedrooms, that sits above the existing red-brick wall of the former grounds. 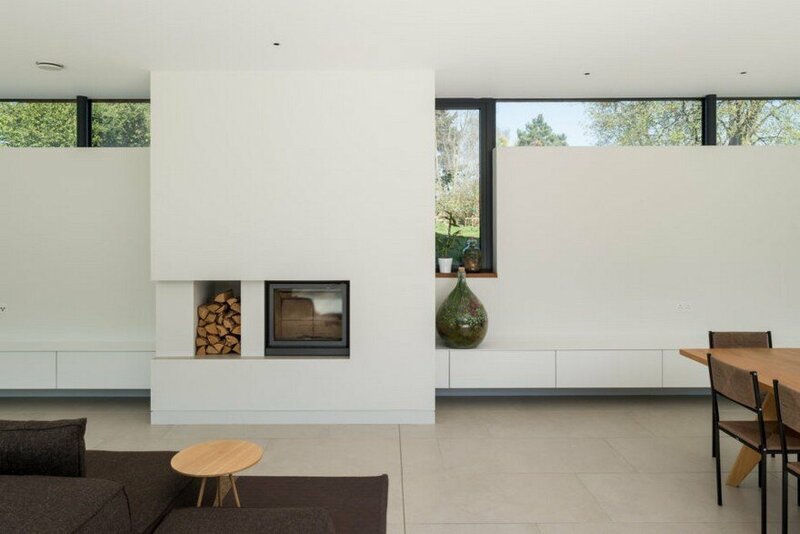 A masonry chimney, serving the living room’s wood burning stove, cuts through the timber-clad elevation, tying the two portions together. 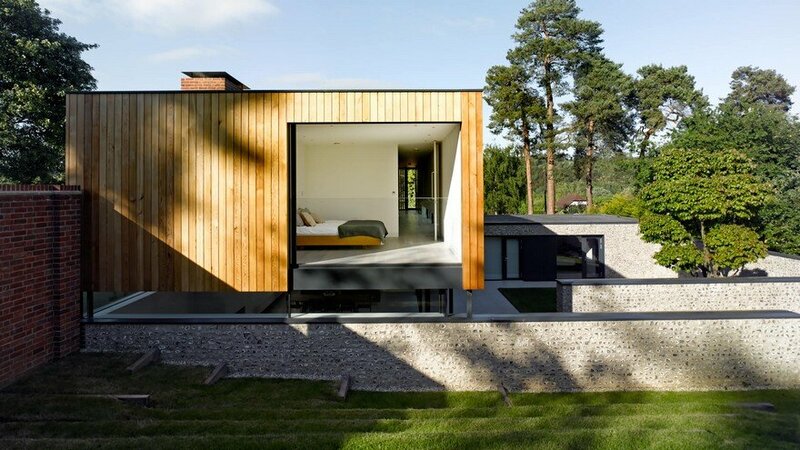 The master bedroom is situated at the western end where full-height glazing slides into the flank wall to form a Juliette balcony with glass balustrade, overlooking the rising site beneath. Turning the corner, a Japanese-style Ofuro bath by William Garvey is framed within floor-to-ceiling glazing. 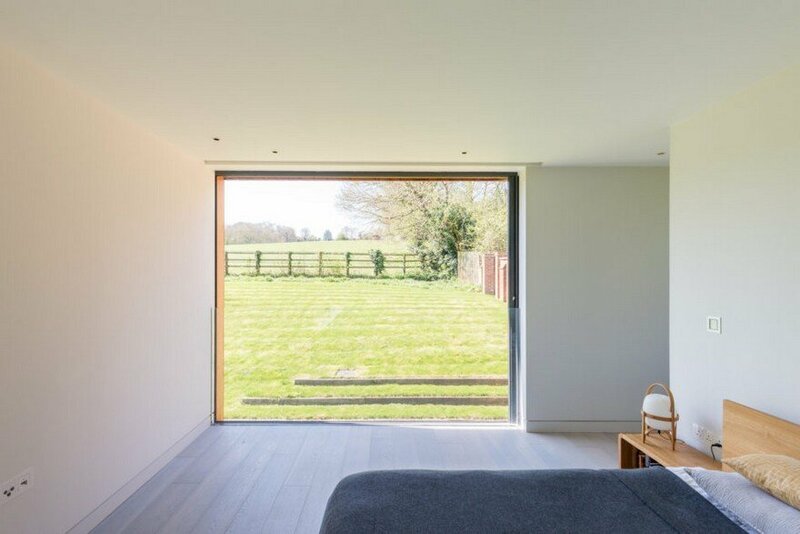 A dressing area leads to a sliding-pocket door which opens in turn to a shower room. 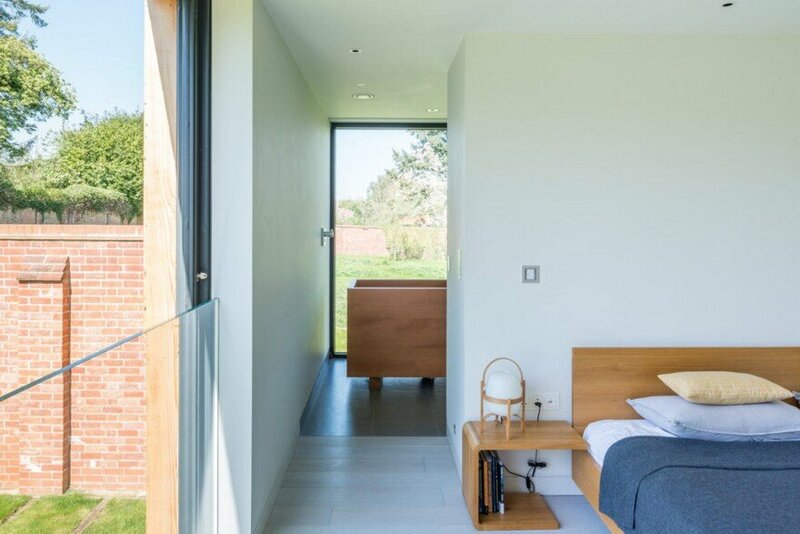 Two double bedrooms occupy a central position with uninterrupted views of the walled garden, and share a family bathroom, with separate shower and roof light. 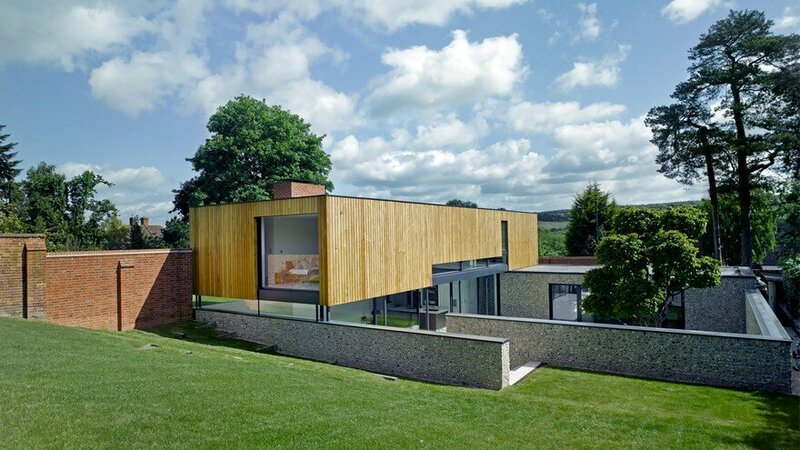 A large fifth bedroom, with en-suite shower, looks east across the valley, it’s privacy protected by a sweet-chestnut screen. 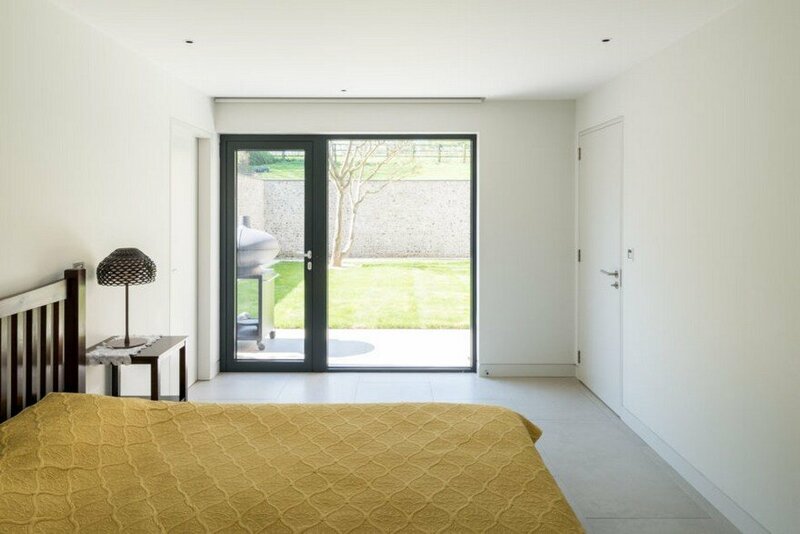 All bedrooms have built-in wardrobes. 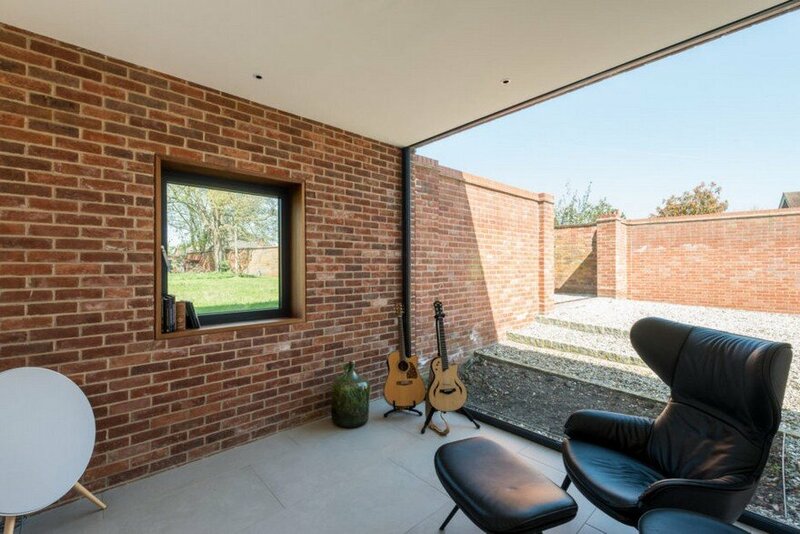 Programmable electric blinds are concealed above glazing throughout.